Having just returned from the Gazelles ScaleUp Summit in Denver, I am reinvigorated by the exchange of experience and intelligence on leadership. There were strong themes bolstering the importance of focus and building relationships that resonated deeply with my drive for more candor. Below are the takeaways that I found most compelling as we consider how to grow our leadership and transition from 2018 into 2019. We must continually reevaluate where we are investing our time and energy. Is what I am/we are doing both valuable and necessary for the core business? Have open, honest dialogue with your team and customers about distractions, what’s unnecessary, and what we can let go of. When we whittle down our goals, strategies and tactics to a laser-like focus on what really matters, we can grow, exceed and excel in our mission. 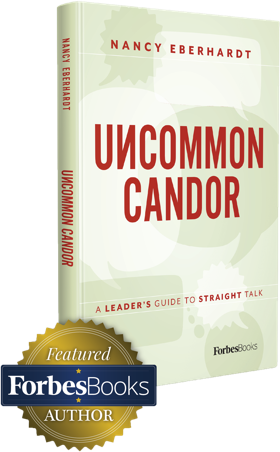 Build candor and trust by admitting your own vulnerabilities; it allows others to relate to you and to feel comfortable addressing their weaknesses. Create opportunities for your teams to build relationships among themselves – these are the interpersonal connections that create engagement and longevity. And, ask your teams what they are doing to build relationships with customers.